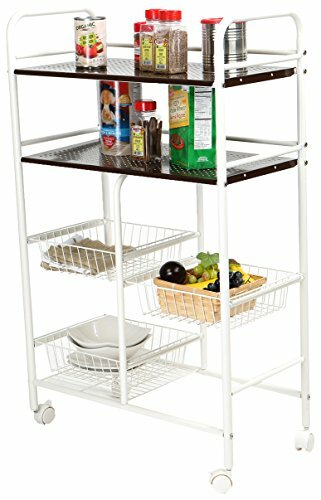 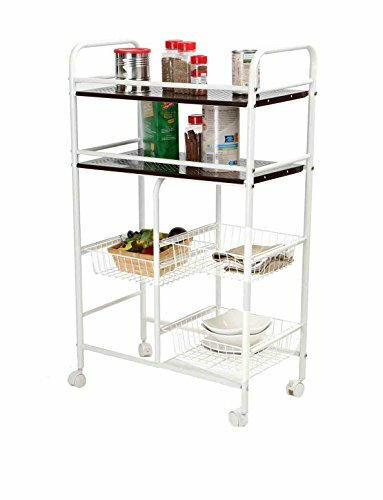 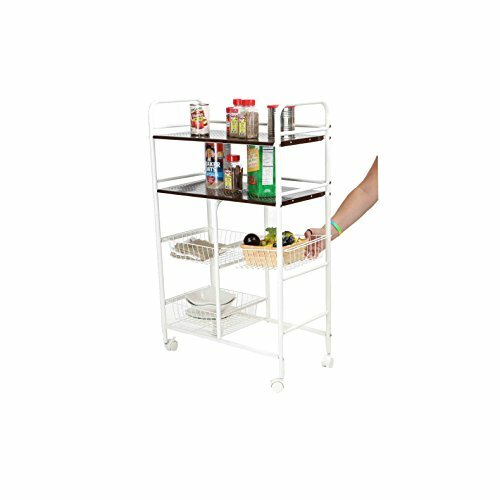 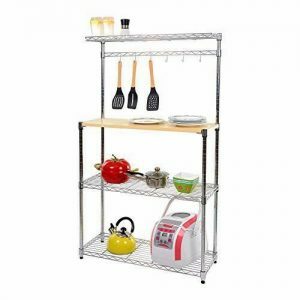 Keep your supplies and utensils on a mobile kitchen trolley that moves wherever you go. 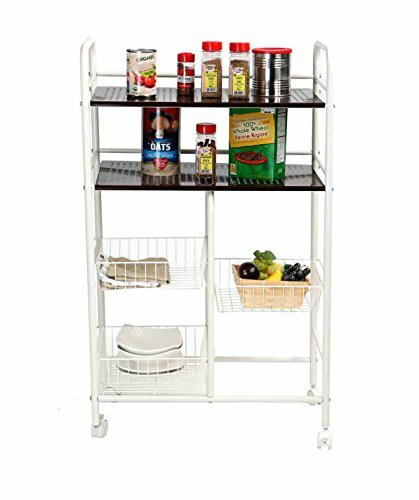 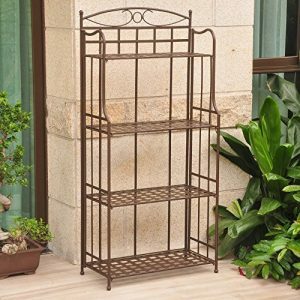 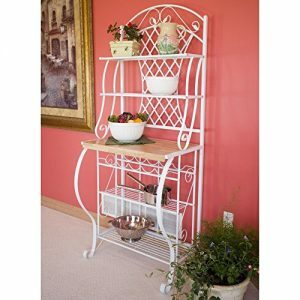 Don’t stuff your cabinets, drawers, and pantries, instead use a storage trolley to put where extra storage is needed. 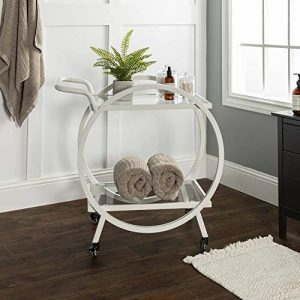 Three baskets help keep more supplies in one spot.